As always, TIME's The 100 Most Influential People list of 2016 is causing a lot of excitement, and features some seriously impressive singers, actors, writers, politicians, comedians, and general over-achievers. 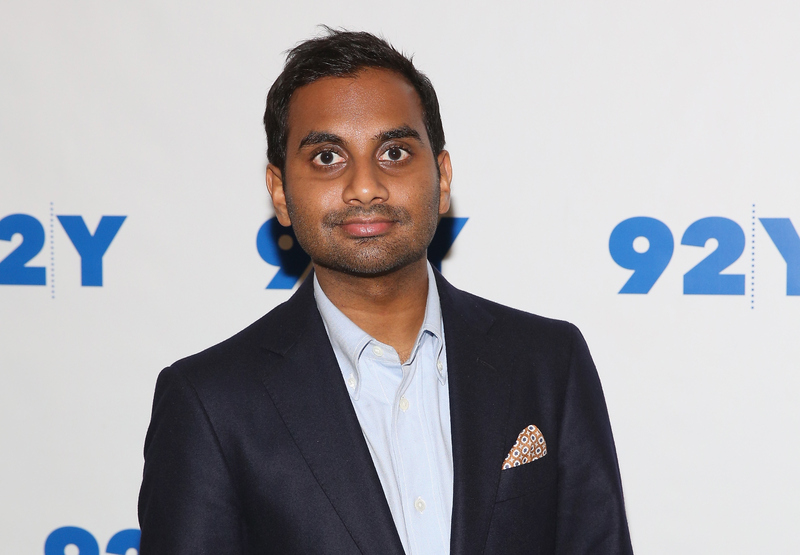 One such person who features in the Pioneers category is Aziz Ansari, who has worked damn hard for this accolade over the past decade. Form his breakthrough role on Parks & Recreation to his new sitcom Master Of None, Ansari is one of the only comedians to consistently make me laugh while simultaneously revealing uncomfortable truths about human nature. There are so many reasons that Aziz Ansari deserves his place on the TIME 100 list, and his steady rise to leading man status is just one of them. Starting out as a stand-up comedian and featuring in several movies as supporting characters, Ansari could've banked consistent work without creating his own series. But one of the reasons the actor is on TIME's The 100 Most Influential People list is because his talents are multi-faceted. With Master Of None, Aziz Ansari and co-creator Alan Yang focus on modern relationships in excruciating detail, while examining what it means to be an American when faced with racism and sexism on a daily basis. Biting social commentary is just part of what makes Master Of None so relatable. Master Of None, which Ansari co-created, co-writes, and even directs several episodes of, is often surprising and always unique. Starring as lead character, Dev, the former Parks And Recreation star isn't afraid to get too personal. As Broad City's Ilana Glazer and Abbi Jacobson write of Ansari in TIME, "Each episode is its own little experience: the way Aziz talks about his ethnicity and career is so interesting, and the entertainment-industry world he writes about is hysterical and on point." By mining his love life, career, and family, Ansari has helped to create a show which the audience can relate to, based on real experiences. Speaking to A.V. Club in November 2015, Ansari spoke about casting his parents in Master Of None, and the implications of doing so. He said, "a lot of times when you see these immigrant parents depicted on television, they’re very broad and they’re crazy and they’re not real. They don’t feel like three-dimensional people — they feel like a vehicle for ethnic stereotype jokes. So I wanted these people to feel three-dimensional and real — who better to base them on than my parents, who I know better than any old Indian people?" As well as being the cutest decision of all time, deciding to cast his parents on the show was a bold move by Ansari, and one of the reasons that Master Of None is so groundbreaking. Stories which are so often relegated on television are brought to the fore by Ansari and co-creator Alan Yang, both of whom have discussed at length their aim to accurately portray "the immigrant experience and these kids’ relationships with their parents" — something which the show has absolutely achieved. As a stand-up comedian, actor, writer, director, and show creator, it's clear that Ansari is dextrous and talented, a truly unstoppable force. In combatting stereotypes, and claiming the leading man role for himself, Ansari has created a show that is not only relatable and inclusive, but also hilarious. He deserves his place on TIME's The 100 Most Influential People list, and I can't wait to see what he does next.